When we conduct your estate sale, you not only get the best team in the business, but you get all of our resources and networks as well. Hundreds of hours are spent preparing each estate sale. When you hire the Denver Gypsy Boys to liquidate your estate, every possible step is taken to insure that your estate sale, is a great estate sale. The Denver Gypsy Boys have estate sales in Colorado. There is never any out-of-pocket costs for our services. Whether you are settling an estate, moving into a smaller home, or just wanting to simplify your lifestyle, the liquidation of household items can be both frustrating and time-consuming. Our Estate Services provides clients with a worry-free and quick solution to this and other difficult situations. Take a look at our services and see which ones might be right for you. We recommend holding an Estate Sale if the value and volume of the contents are great enough to warrant one. We handle all aspects of the estate sale, including the merchandising, pricing, and advertising. We handle the bookkeeping, maintain the safety and security of the merchandise, and our friendly staff provides great customer service. We are insured to protect the interests of our clients, and have a reputation for running fair and efficient sales. Our prices reflect today’s market with the focus on generating sales and motivating buyers. Our experience in the antique and vintage marketplace, plus our research of market value on specific and high-demand pieces allows us to reach our goal for an estate sale – to empty the house while generating proceeds for the client. We encourage you to take the first step, contact us here and we would be happy to meet with you and provide you with a complimentary consultation and analysis at no charge and at your convenience. ther one of our estate sales. We can move all of the items for you, sell them all and deliver to you a big fat check. No out-of-pocket costs, ever. If you have a house that needs to be emptied, but is filled mostly with debris and/or items that don’t hold resale potential, we can provide a complete clean-out service so you can prepare the house for sale or rent. This is a fee-based service, and we will provide a free estimate in order to give you a quote. Emptying every room from attic to basement, plus the garage, storage sheds, porches, etc. Scheduling the arrival and removal of a dumpster if necessary. Please visit the Contact page for further information. Please note that our team cannot remove hazardous materials or chemicals. Please consult your local public works department can advise you on the method of disposing of them in your community. The Gypsy Boys continue to be the best because we do what other companies cant. But most importantly, because we have more customers and bigger sales than any other estate sale company in town. When you hire the Gypsy Boys you get more money for your estate as well as the piece of mind that EVERYTHING will be taken care of by true professionals who take pride in their work and treat your home and belongings with the respect and care they deserve. Please fee free to come by and see for yourself how we set up and conduct a sale, see the difference for yourself. We typically conduct 1 to 2 Gypsy Boys Estate Sales every week, head over to the Sale Page and check out the detailed descriptions or sneak a peak at one of our many photo galleries, we are guaranteed to have just the style that is right for you. Whether you are at home, work or anywhere in between. We post HUNDREDS of pictures every week in different formats so you can shop before you shop. Make sure you don't forget to sign up to receive our weekly email notice telling you all about our sales that weekend so you will be ahead of the game. Never miss out on that perfect item again. These are just a few of the many reasons why the Gypsy Boys are the Best Estate Sale Company in Colorado. When we conduct your estate sale, you not only get the best team in the business, but you get all of our resources and networks as well. The Denver Gypsy Boys can liquidate any type of personal belonging for market value. We have grown to be the largest and most highly sought after estate sale and asset liquidation specialists in Colorado. We are a close knit group that loves the work we do as well as the customers and friends who shop with us. Come shop our sales and view our 'crowds' and 'videos' sections to see what makes us the biggest and best in Colorado. Whether you are settling an estate, moving into a smaller home, or just wanting to simplify your lifestyle, the liquidation of household items can be both frustrating and time-consuming. RePurpose Estate Services provides clients with a worry-free and quick solution to this and other difficult situations. Take a look at our services below and see which ones might be right for you. We offer a full menu of appraisal services. Each sale that we conduct is advertised in the locally printed newspaper. Generally that paper is the Denver Post, but many times it is a combination of the Denver Post and a more localized paper, such as the Boulder Daily Camera, the Colorado Springs Gazette, or even the Broomfield Enterprise. While print media costs have skyrocketed over the last 5 years, after an in house marketing analysis in early 2011 our studies show that a very high percentage of dedicated regular customer started by finding us through local print media. The Denver Gypsy Boys generally will spend anywhere from $150 to $400 per sale in advertising costs for the Denver Post alone. And as is the case with every single one of our advertising methods, the clients will never be charged for the costs of doing business. We absorb all expenses from our contracted percentage of sales. . It is often thought that because we put so much work into each estate sale that we must necessarily charge a higher percentage than most. While in fact, our rates are extremely competitive Because the money we earn is a direct result of the total amount we are able to bring in, by providing competitive and well displayed merchandise at a reasonable price to the consumer we are able to sell more than other companies. By bringing in consistently higher dollar amounts we are able to make more money to cover pay our employees which also mean a much bigger check for our client. The Denver Gypsy Boys charge a flat percentage to conduct an estate sale for a client. That percentage varies from 35% - 50% of total gross revenue. Foe Example, if we contracted with you to conduct your estate sale for 40%, upon completion of your sale you would receive an breakdown of the financial summary, including the total sales, our commission, major expenses, etc,. And a cashiers check for 60% of the total dollar amount collected. Some companies will try and charge you upfront costs/advertising fees or negotiate minimums for their services. We would not recommend any company that suggests this arrangement The service provider should be responsible for earning their commission through well displayed, organized and reasonably prices sales, not through loophole contract verbiage. Craigslist.org is the worlds largest collection of online classifieds. We build and post ads on craigslist for each and every day we are open for business. Many of our regular customers started out looking for a piece of furniture here and once they stepped into one of our sales, they never looked back. We use google adwords to advertise, not only our services but also our sales as well. We always dedicate a portion of our overhead to online advertising with google adwords. Also, their maps and google Local listings help customers find their way to our sales with ease. We use A LOT of online advertising to get the word out about the best estate sales in Denver. Not only do we have memberships with companies that specialize in listing estate sales, but we also post our sales with websites that are geared towards garage and yard sales. Because as every good shopper knows: if you can find one a yard sale, you can't find three at our estate sale. The Denver Gypsy Boys maintain an "A" rating with the Better Business Bureau. We strive in transparency and fair dealings with our customers and especially our clients so they know that they are being treated fairly and with the utmost professionalism. Part of what makes the Denver Gypsy Boys the best estate sale company in Denver is our ability to keep up to date with current trends and technology. 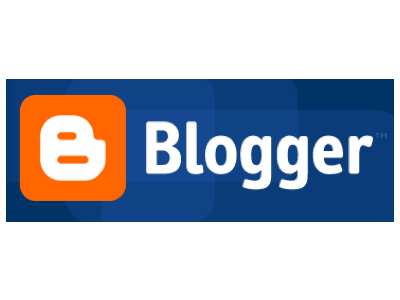 We employ an amazing all in one content management firm who helps us manage and keep up to date with the latest trends and online fashions. That way, while we are busy preparing the inside of the home with the perfect estate sale, they are filling the outside with waves of excited shoppers. Estatesales.net is likely the largest and most used online service dedicated to connecting estate sale shoppers to the bargains they love. A subscription service, Estatesales.net charges the companies monthly subsciption fees to post advertisements, whitch makes it completely free for the shoppers looking for treasures around town. The Denver Gypsy Boys have been Gold Members, (the highest tier possible) with estatesales.net for many years and list the details of every sale with them to assure that we get the biggest customer base possible. The Denver Gypsy Boys have an active email list of over 6,400 valid and active users. By far the largest in the state of Colorado. Customers enjoy being on our mailing list because we provide consistently clean, full, well priced items every week. Additionally we often will invite our email list customers to take part in a pre sale event to which only they receive an invite. This helps to thin out the crowds on some of our larger sales and gain customer loyalty because they are getting something that they will not get with most estate sale notification service like estatesales.net. Every successful business knows that it must maintain a strong social presence online in order to be successful. No one knows this better than the Denver Gypsy Boys. We regularly update, advertise, and interact with regular and prospective customers through all the major social networking sites; including, The Denver Gypsy Boys on Facebook. 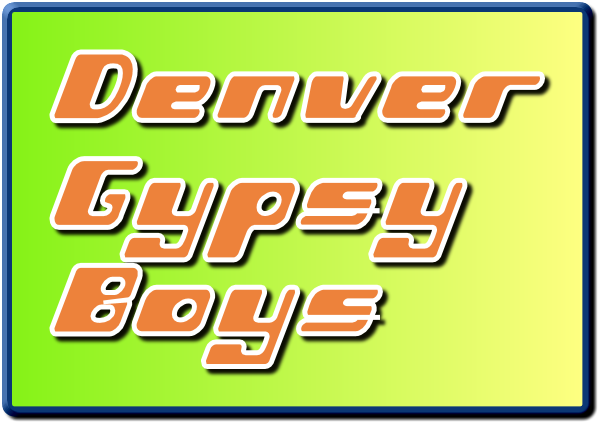 Our micro blog feed on twitter @denvergypsyboys.